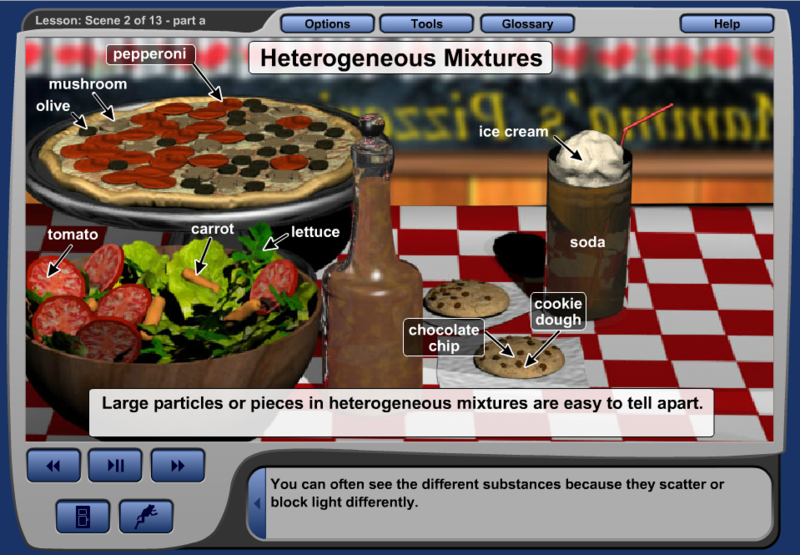 Colorful Visual Lessons Bring Science Alive! This full year course studies the physical world, and provides the student with interactive practice, lab experiments, and simulation to foster students’ natural curiosity and joy of discovery. 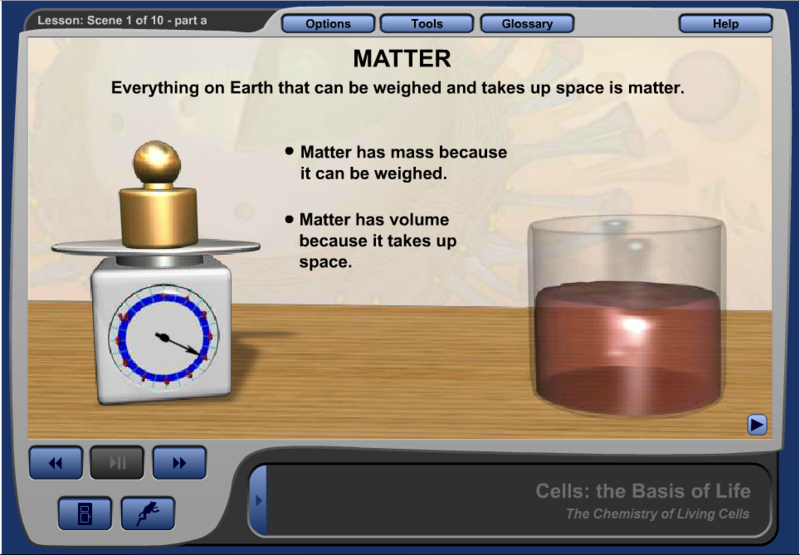 Beginning with the first unit, Properties and Structures of Matter, Physical Science is a comprehensive exploration of the physical world. 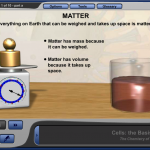 The course studies inanimate matter as well as topics in astronomy and geology, and broadens the student’s understanding of the states of matter by applying them to weather and atmosphere. 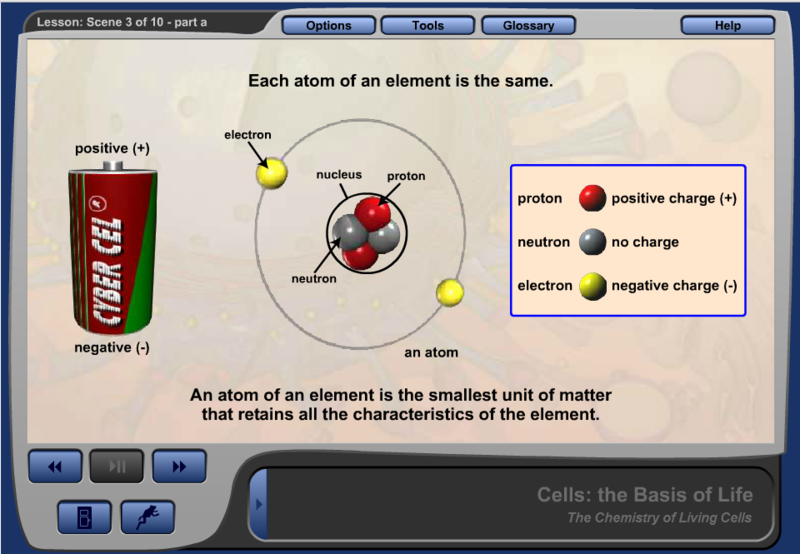 Other units include Forces and Motion; Energy and its Application; and Chemistry Fundamentals. 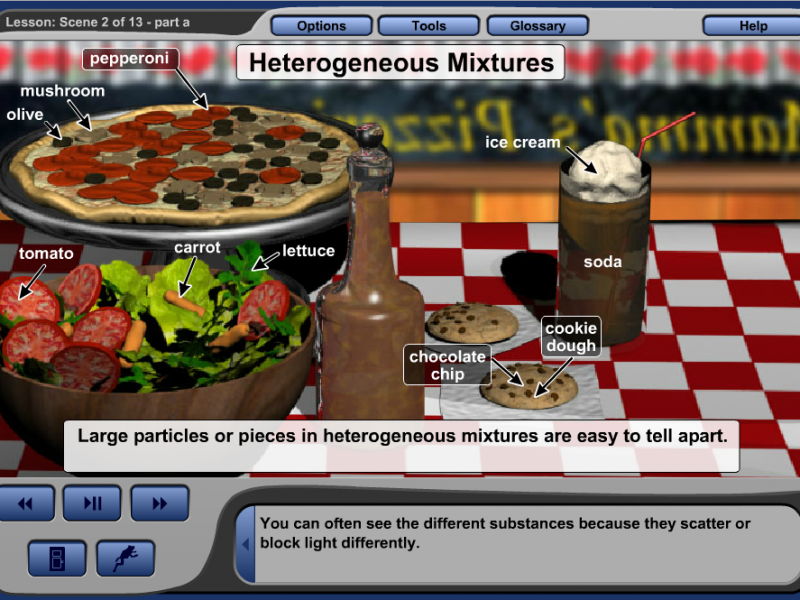  Identify and measure properties of matter.  Work with units and equations that define properties of matter. 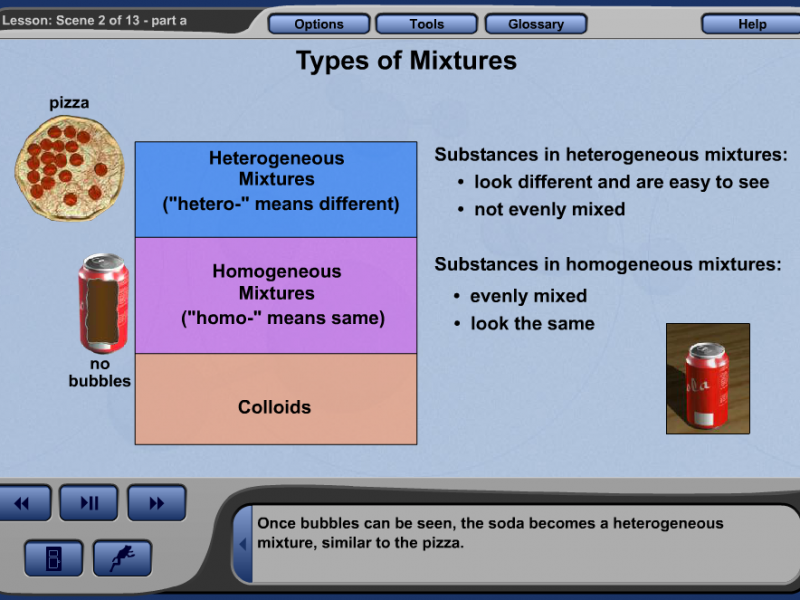  Give examples of atoms, elements, compounds, and mixtures.  Identify the parts of an atom.  Evaluate physical and chemical properties of a substance. 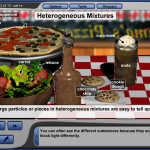  Explain how various substances behave given certain conditions. 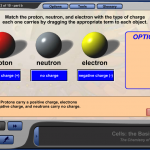  Describe the phases of matter and the energy necessary to change phases. 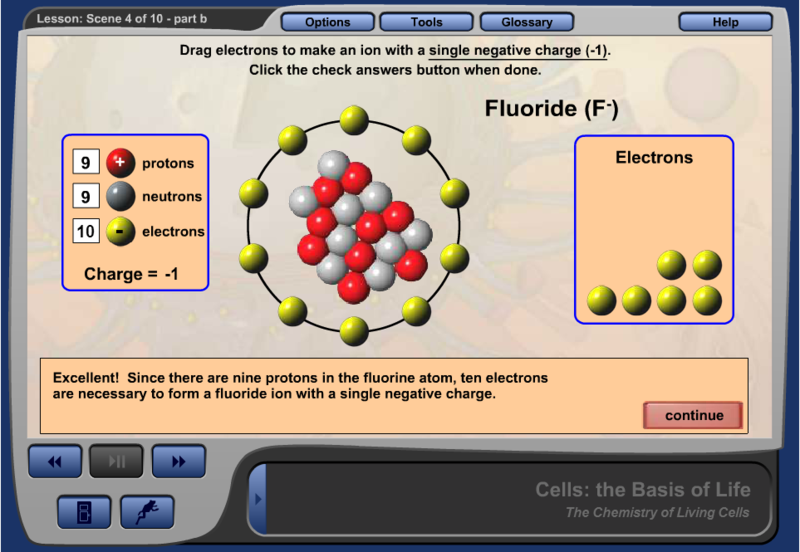  Classify the behavior of an element according to its position in the periodic table. 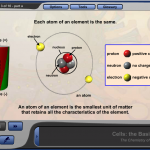  Distinguish between types of atomic bonds and between the types of compounds they form. 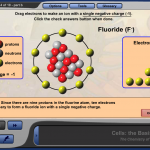  Classify substances as acids, bases, or salts. 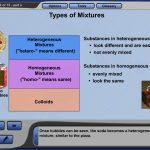  Identify examples of mixtures and solutions. 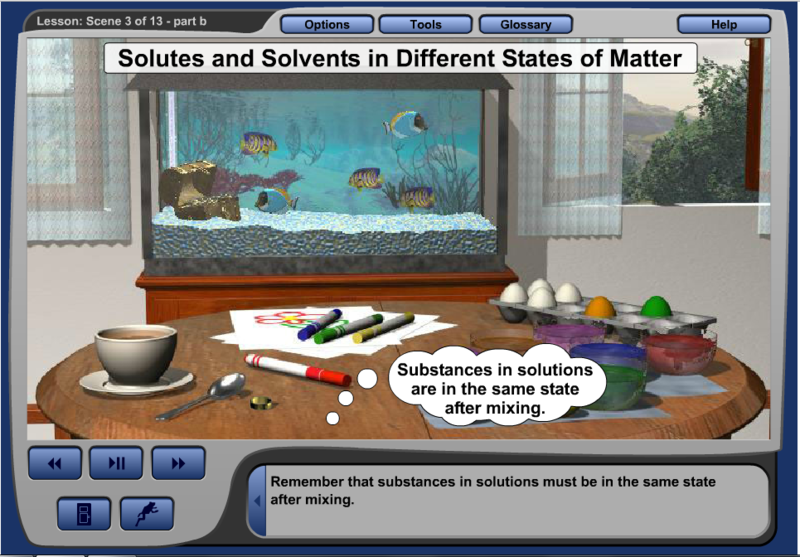  Balance simple equations to demonstrate conservation of mass for a chemical reaction. 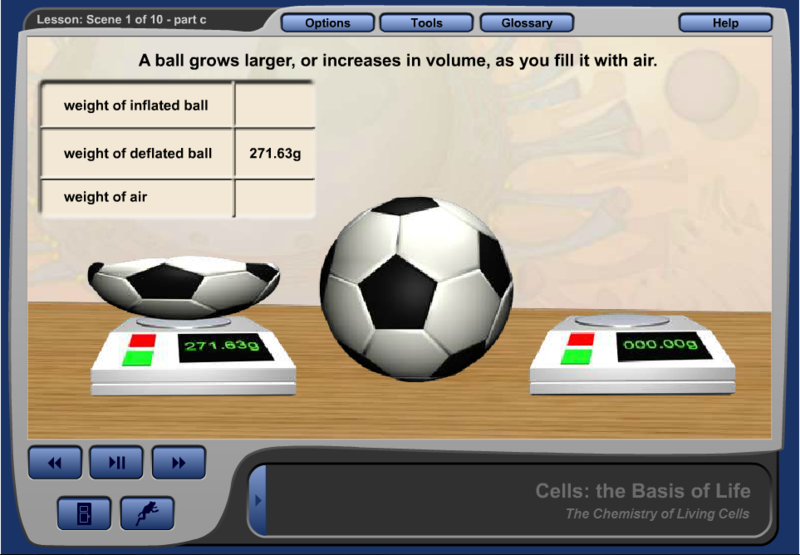  Use the scientific method to perform an experiment. 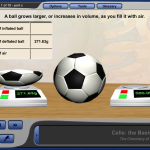  Distinguish between variable and controlled parameters in an experiment. 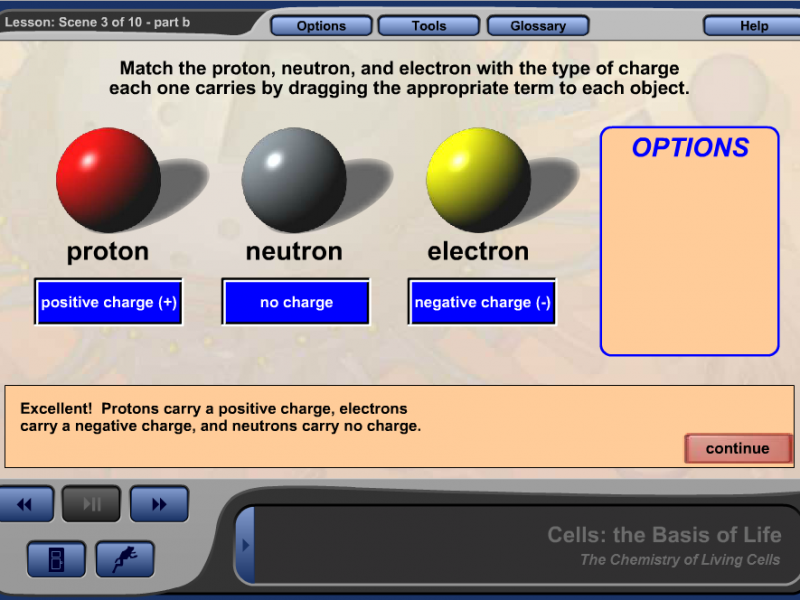  Distinguish between different types of energy and cite examples of each.  Understand the law of conservation of energy.  Describe the three methods of heat transfer and give examples of each. 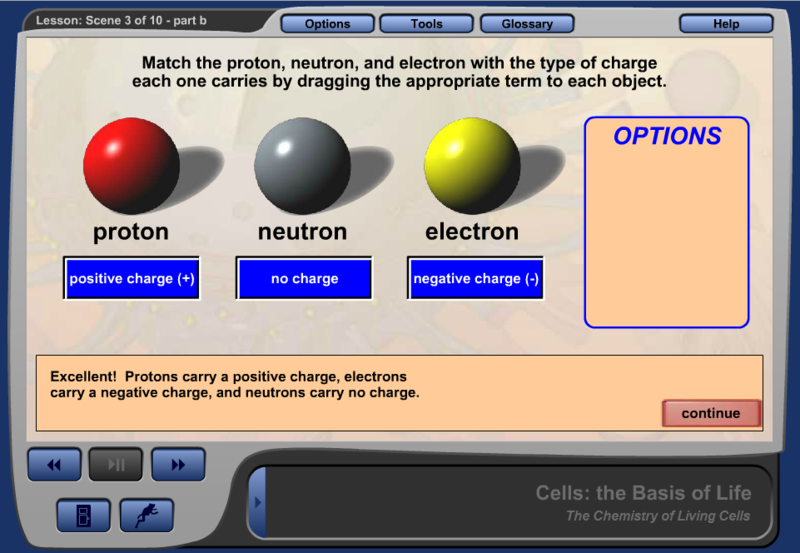  Know about electric charges, forces, and fields.  Explain how a circuit will behave based on its arrangement. 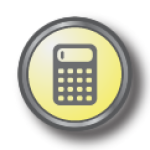  Solve mathematical equations involving power, current, and voltage.  Know the function of electromagnets, superconductors, and electric motors.  Describe the properties and behavior of sound and light.  Explain the relationship between speed, velocity, and acceleration.  Explain Newton’s laws of motion and give examples of each.  Identify types of forces including gravity, tension and compression, and friction.  Calculate or predict ways to influence work, power, and mechanical efficiency of a machine.  Give examples of simple machines and choose the best machine for a given situation. 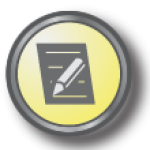 Notes: This course is suitable as an early-admissions High School course, taken during Middle School. 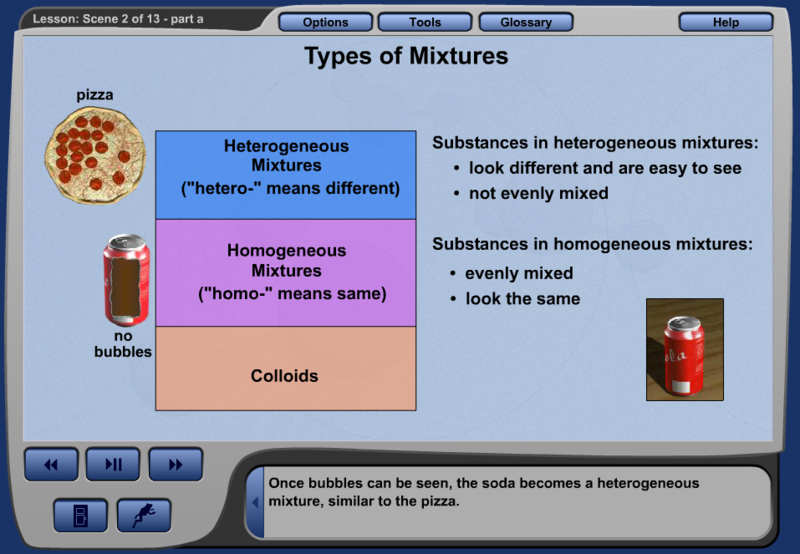 This course is also offered as an alternative to High School Chemistry, and recommended for students who are more likely to succeed in a concepts-based course, as opposed to a course involving heavy technical information and mathematical formulas.